Dirk Nowitzki is hoping to make his season debut in three weeks. 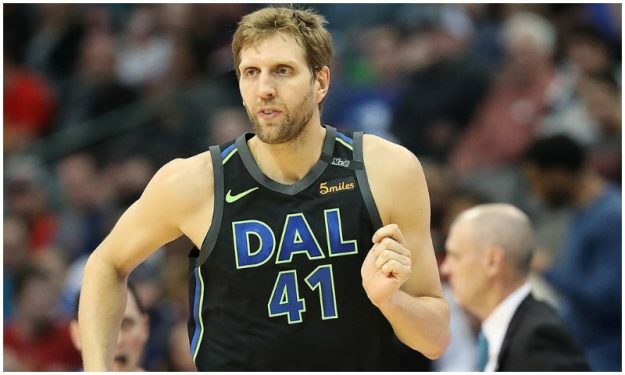 Per The Athletic’s Shams Charania, Dirk Nowitzki is targeting to play for the first time this season in approximately three weeks. The 40-year-old Dallas Mavericks player has yet to appear in a match this year. He spent the last months recuperating after he underwent left ankle surgery late last season. In his return he will be part of a squad that features Luka Doncic and DeAndre Jordan. It’s not even clear if he will be in Rick Carlisle’s starting five. In any case, he is expected to provide an important boost to the struggling Mavs starting his 21st consecutive season in Dallas.